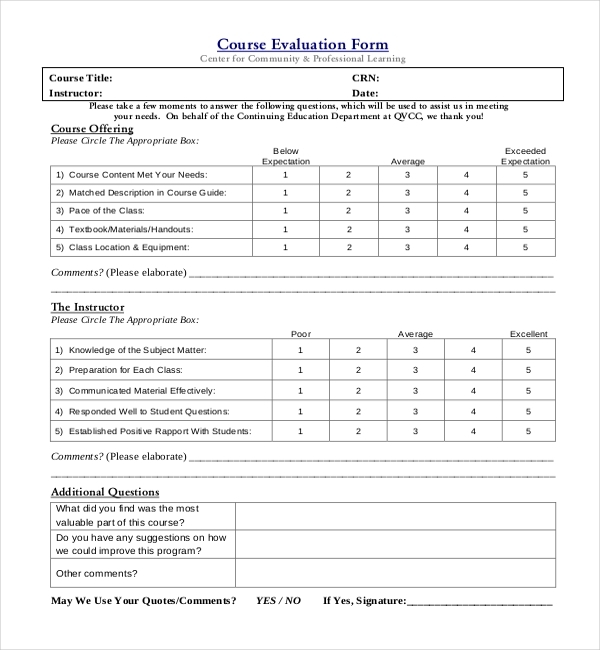 To assess and improve the quality of teaching, the students are requested to take out some time and fill up this sample form. 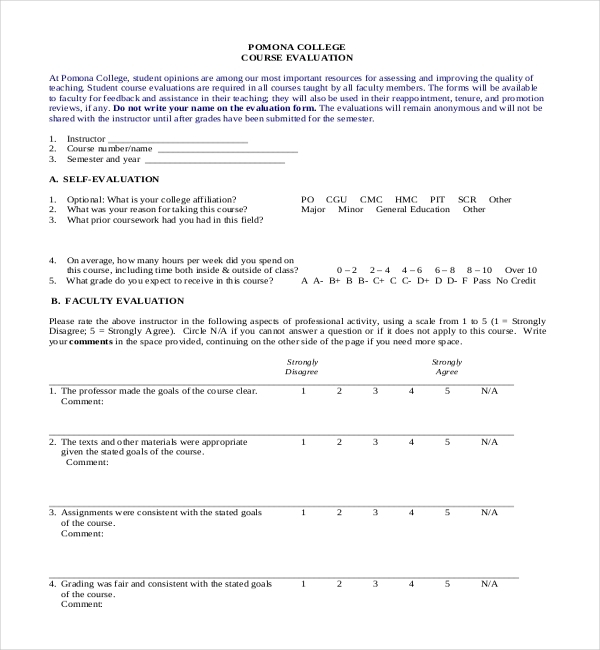 Pomona College course evaluation forms are used by the educational institute for stirring changes within the school. 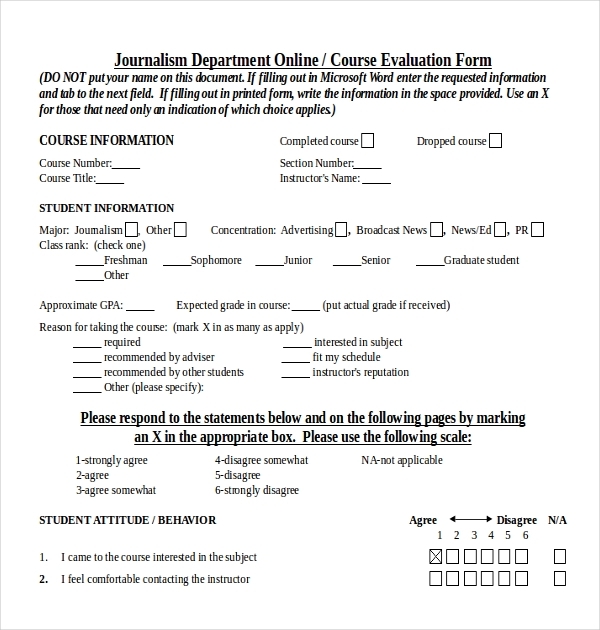 The forms have self-evaluation section, faculty evaluation and a small space for comment section on a teacher. In an army school, there are instructors that teach students theoretically and practically. The instructor needs to be evaluated by the students on the basis of goals and objectives; organization skills, knowledge and presentation of course, equal chances to students, flexibility, grading etc. The rating scales are based on words. 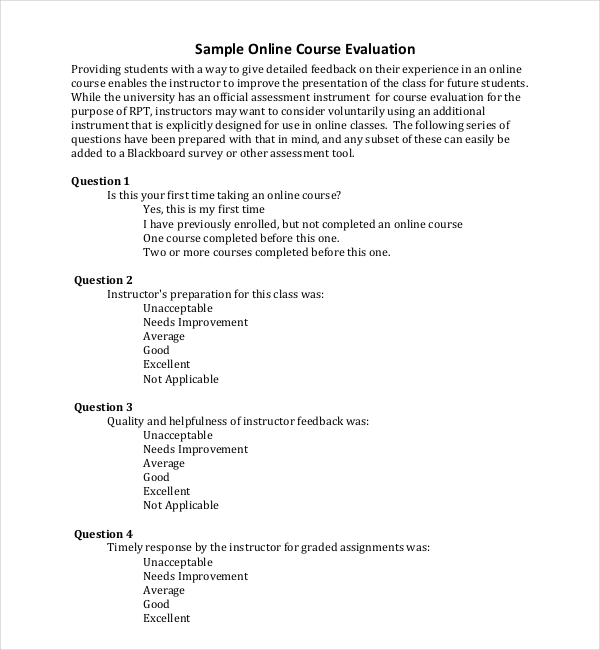 This form is about evaluating the course and the teacher as well. 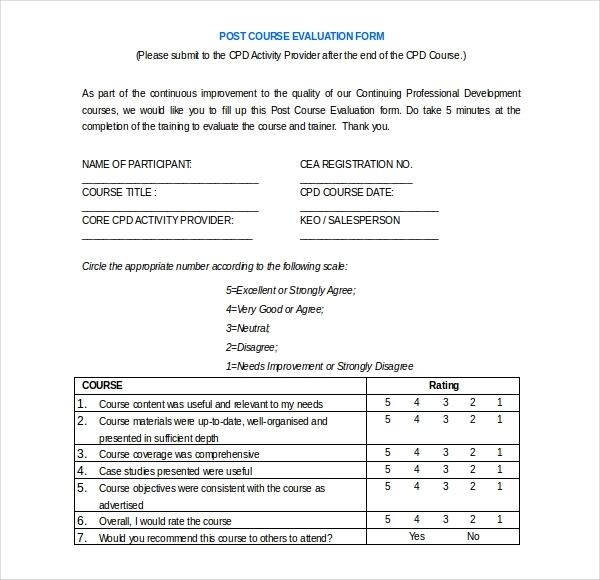 The form requires filling up about course offerings and the instructor along with additional comments if the person needs to add something. The form needs details to further evolve the education system by knowing the student’s mind. 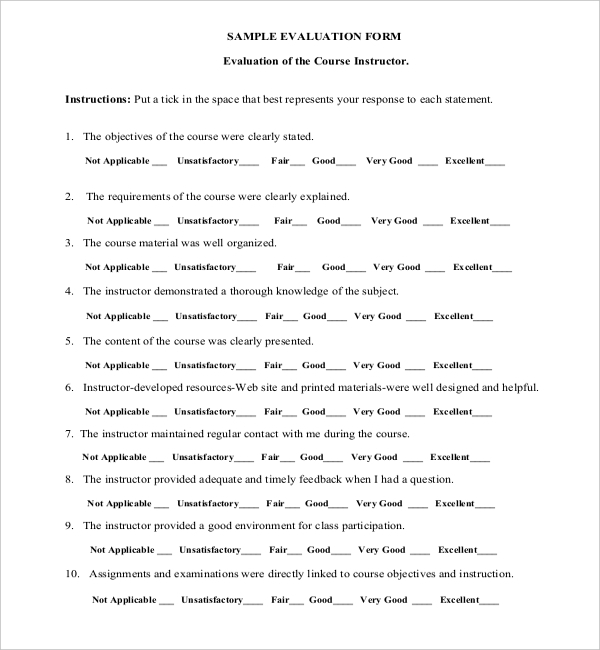 This form is for knowledge of the academic institution to know if the students liked the course or not. Any suggestions are welcomed in such forms so that they know the strength and weakness of the course. There is a slight chance that the forms may be used for demographic purposes as well. The form is for design students who will be asked about their teachers via a questionnaire. This paper will contain questions about the course as well. Based on your experience the forms have to be filled up honestly. Otherwise these forms won’t be of anything due to misinterpretations. The online course will also be evaluated in terms of presentation and course structure. This form is for students who need to tell the academic authorities about the course that they just learnt. These inputs are quite important for everyone, i.e., the students, staff and teachers. The form asks about the instructor’s way of teaching. It also has questions on the learning material, course structure etc. Open questions are also asked for detailed feedback. The Department of English may separately ask about the course and the teacher so that further improvements and new development can be done. The question regarding the work and responsibilities of the student is also asked in the course. It is also about self-evaluation in terms of the course that is done by the student. 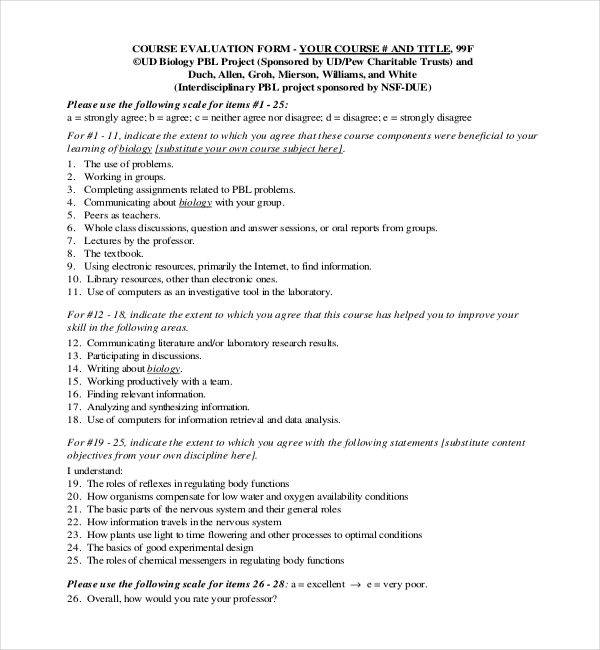 Federal Emergency Management Agency presents course evaluation transmittal. 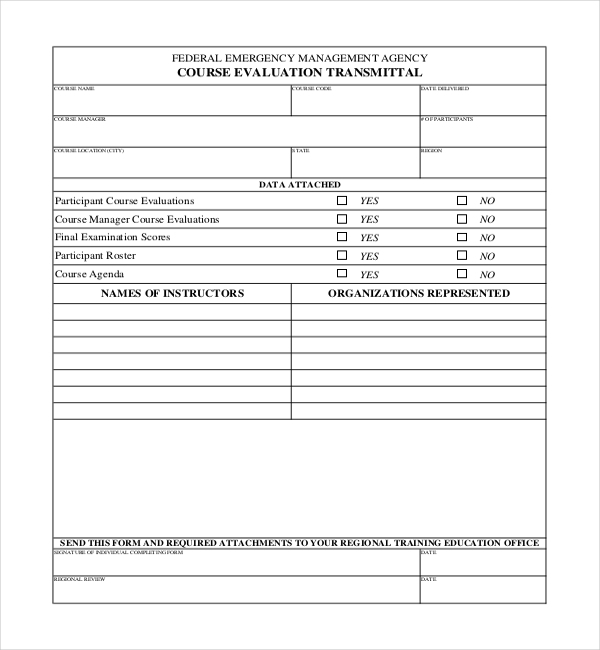 The FEMA course evaluation form is for the assessment of the course to know the positives and negatives of it so that further actions are taken as necessary. 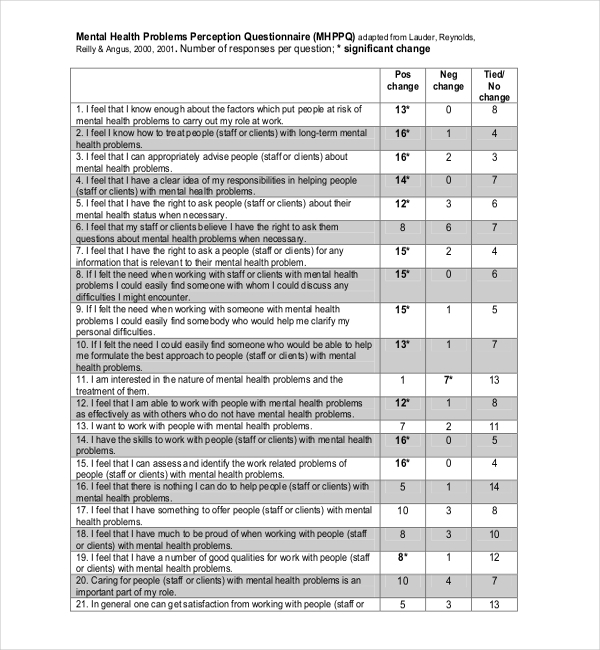 Mental Health Problems Perception Questionnaire asks questions to the person in questions regarding their point of view for treatment to another person. Questions are framed on the first person basis. This form is to know the person’s thought process and understanding in a public sector workplace. 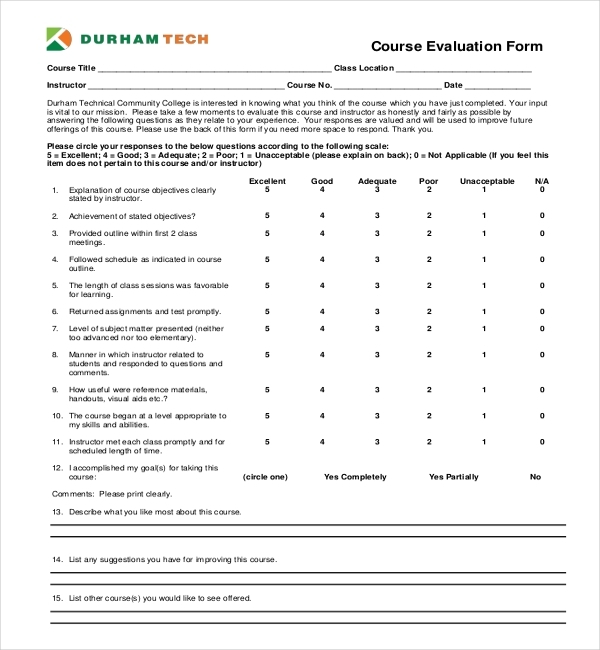 The golf course evaluation forms are used by the superintendent of a gold club to assess the maintenance, job responsibilities, mechanic and technician’s knowledge in this field. There are different forms for each of them. Even the groundskeeper has a separate set of questions. 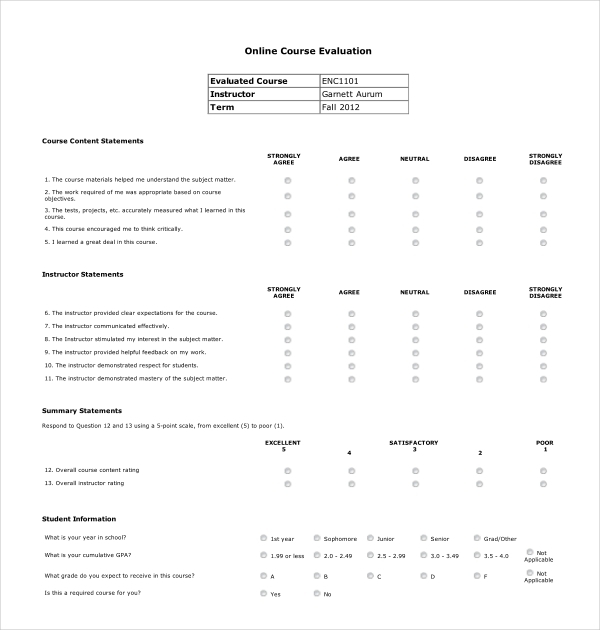 The French course language evaluation forms are definitely useful for the faculty members and students so that a perfect feedback is given to the higher authority for better course structure. The faculty must take these forms seriously. The usefulness of the course is seen so that there is no problem in the near future. 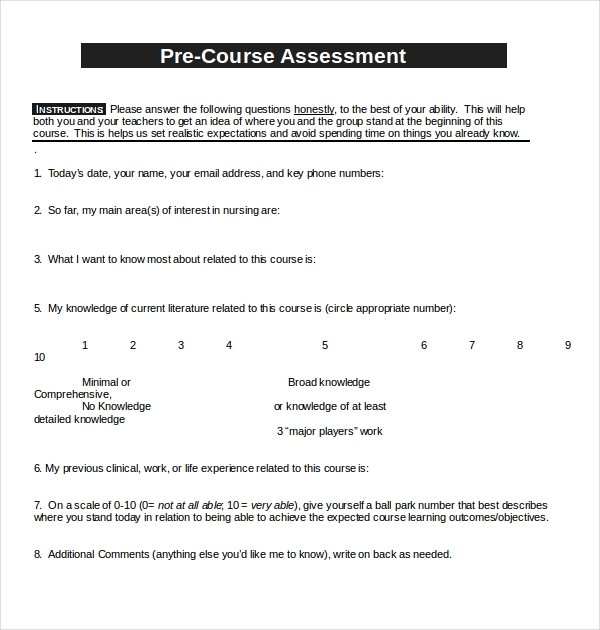 This is a short and simple form for the instructor and the course. The instructor is asked about their preparation towards the course and whether they are ready to give suggestion about improvements in cadet learning. 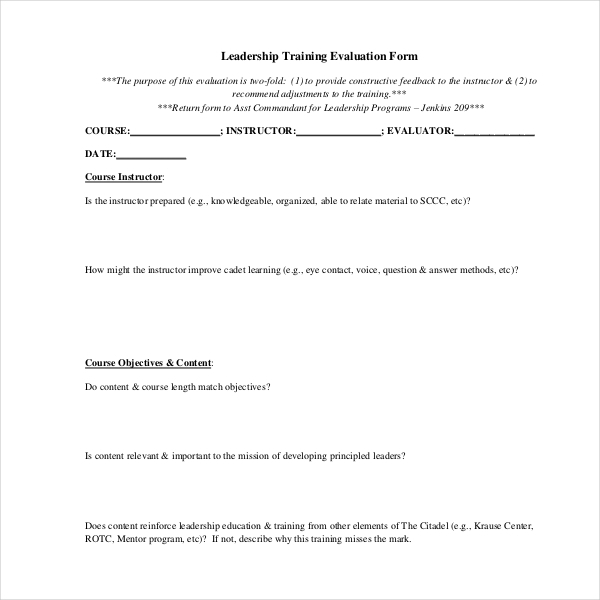 The forms are for leadership education only. In this form, some of the student’s basic information is taken into account plus the course assessment in their viewpoint. 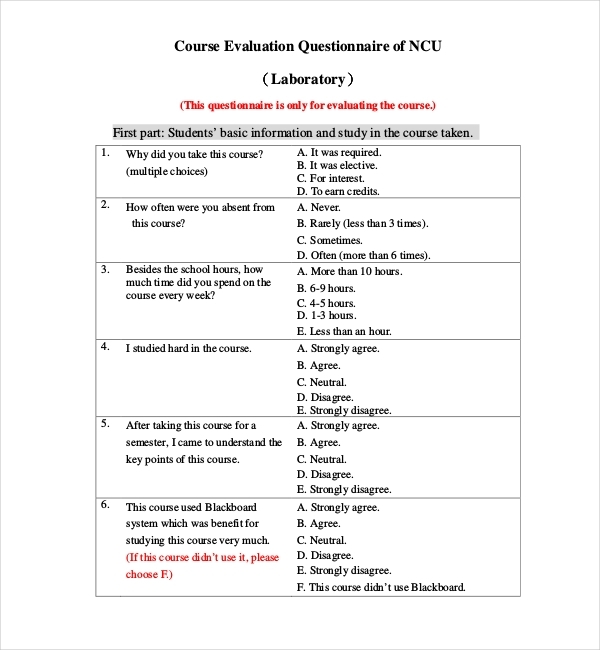 The laboratory course evaluation is very important as it is the practical side of the course. All the equipment and teacher’s information must be present here. 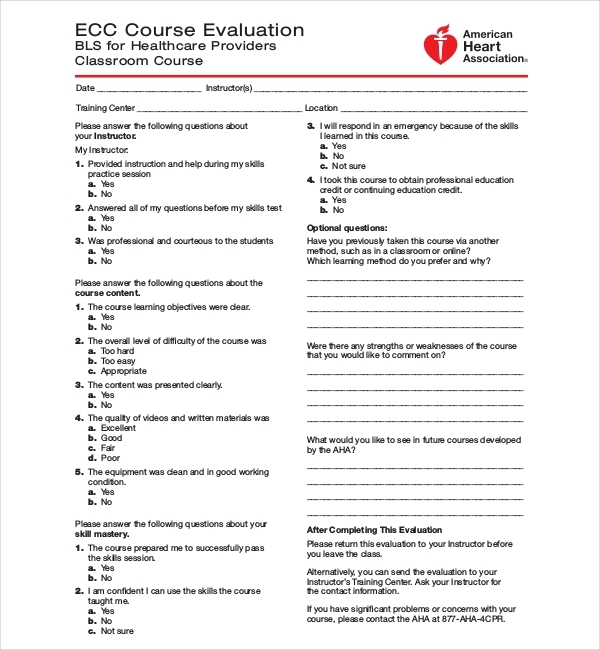 This sample form created by American Heart Association covers the questions regarding the course instructor or teacher and course content. The students must feel free to fill up these forms for a better learning experience in future. It would be better if all the questions are answered truthfully and none are left blank. 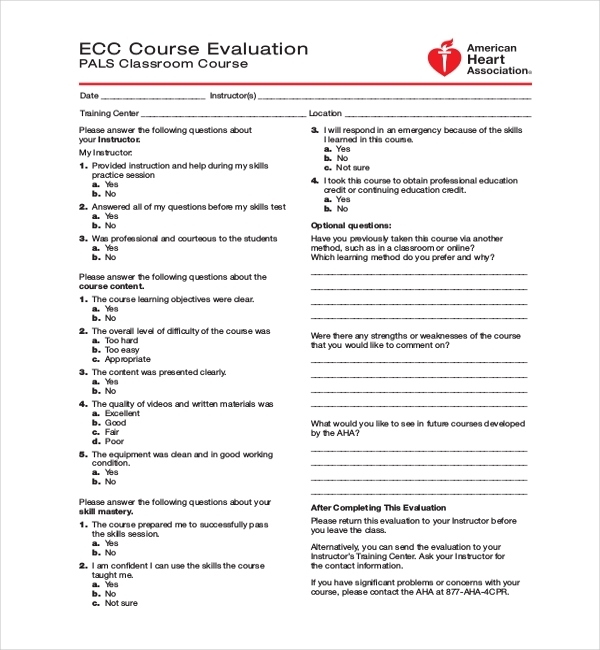 This form is handy for the course that has taken place in a clinical set-up. The forms ask about the instructor and the course. For those who have done this course through an online website, there is a separate section to fill up this form. Make sure they are submitted on time and to the correct place or person. The forms have an importance in the academic sector so as to determine about the course and the instructor. Necessary changes must be welcomed by all university to increase the interest in students to study. 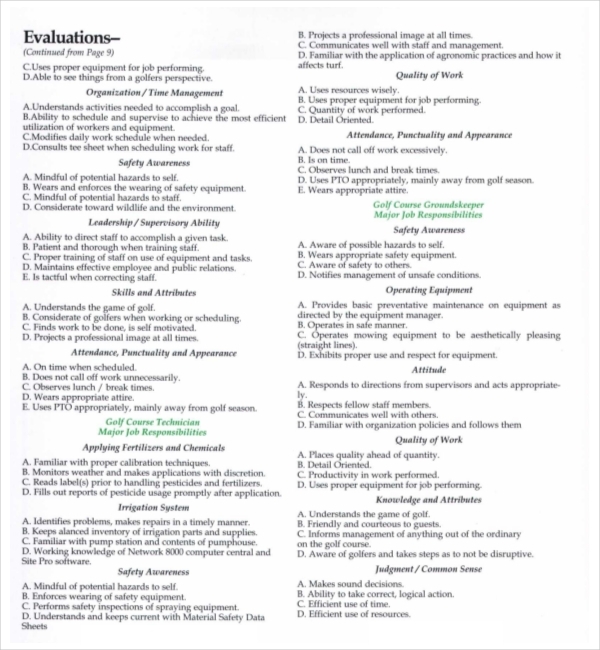 These forms have been divided into course content and about instructor. 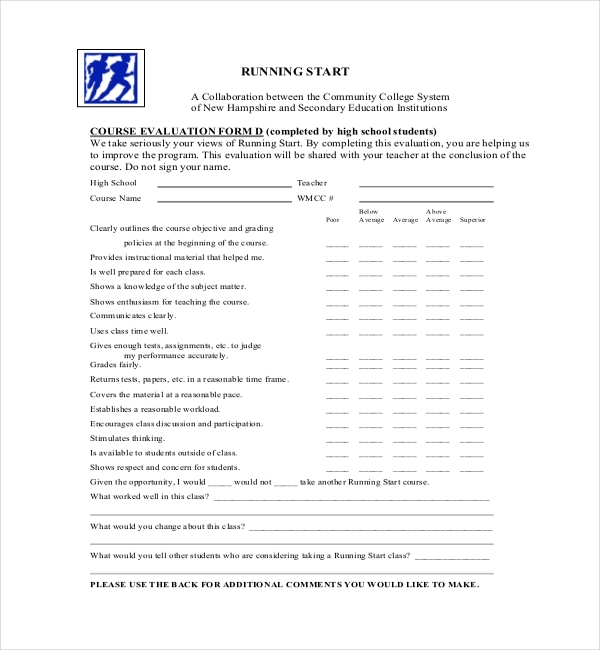 To know the students in a better way, this form is given to them. The officials need to know where their students stand. The course asks about the students previous knowledge and work in the particular field. After the completion of the course, these forms are given to the students so that they can give a feedback about the course they just took. The forms should be filled up honestly. This will help the students in long run and will also help the education system for further progress. 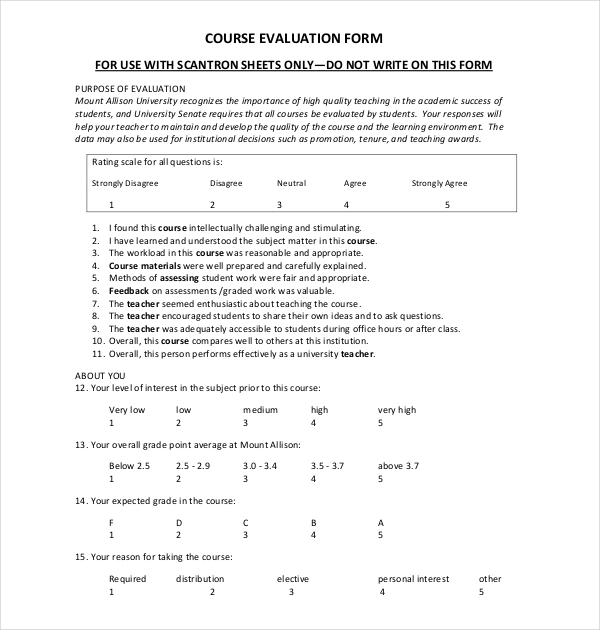 This form asks about the course content, course material, organization, student behavior, course assignments, the instructor, benefits by taking the course etc. Open ending questions are also required filling so that a better perspective is gained on the overall course. 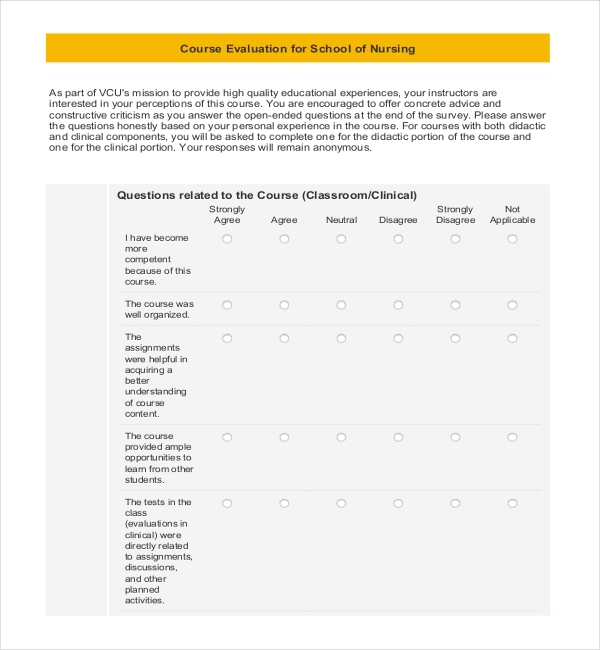 This sample form by Mount Allison University requires all the information about the student and the course that took. 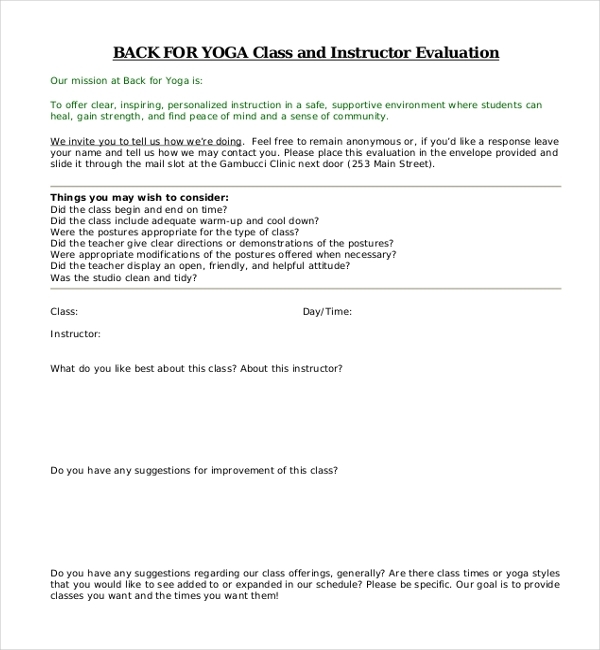 This is a simple form about the yoga class a student took part in. The form is useful for the instructor and the center for the betterment of the yoga class. A very short questionnaire asking about the course, the instructor and free will suggestion is quite easy to use. The forms must be completely biased. They should be filled truthfully and without any hesitation. The forms are confidential so there is not any privacy issue. The forms are now easily available in our website with just one click. You can download and print the forms according to your needs. Our website provides fault free forms that has high success rate. You can get these forms edited. These very useful forms can be downloaded in both Word and PDF format so that you do not face limited options. The forms are made quite carefully to suit your needs. They are available in all compatibility, i.e. both lower and the higher versions. If you need extra customizations, we will be happy to do so.